We have a very special weekend to announce. 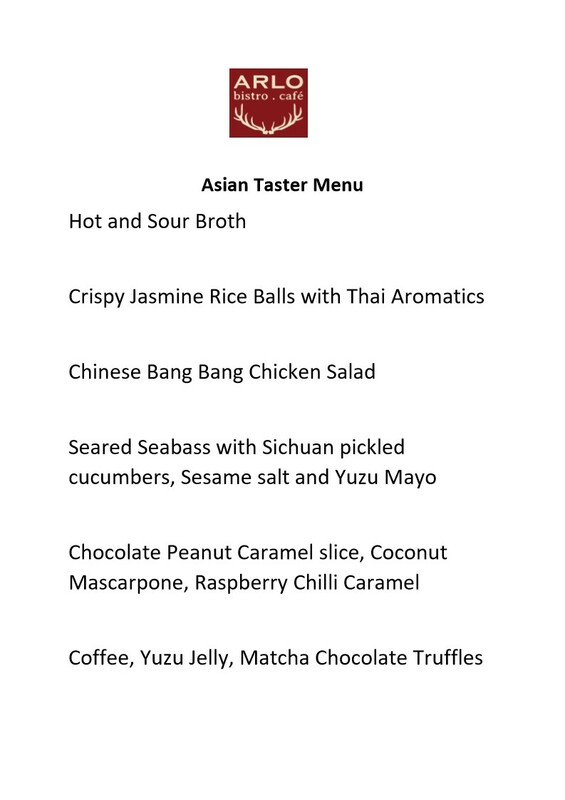 Our head chef Brian James is going to showcase his speciality Asian food talents and we are inviting you to be part of this one-off event. Brian has spent most of his career working in Newcastle’s most iconic restaurants including 21 Queen Street and Barn Again Bistro. Brian has been in charge of the kitchen and menus for over 4 years now and has brought his own style of fusion cookery to ARLO. Brian’s passion for Asian flavours developed whilst living in Australia and his love of global cuisine has evolved from his love of travel around the world. See below Brian’s special Asian menu. £45 for 6 courses. Payment required in advance. Please email info@arlojesmond to book your tickets. Start at 7:30pm.